House Minority Leader Nancy Pelosi wants to revive a House select committee to work on global warming. While “a vast majority” of House Democrats support the aims of Ocasio-Cortez’s plan, there’s disagreement over whether or not a select committee is needed. Top Democrats want global warming to be a top priority, but the caucus seems deeply divided on how to broach the issue when they take control of the House in 2019. House Minority Leader Nancy Pelosi wants to revive a House select committee to work on global warming legislation, but Democrats about to take the reins of key committees don’t think that’s necessary. 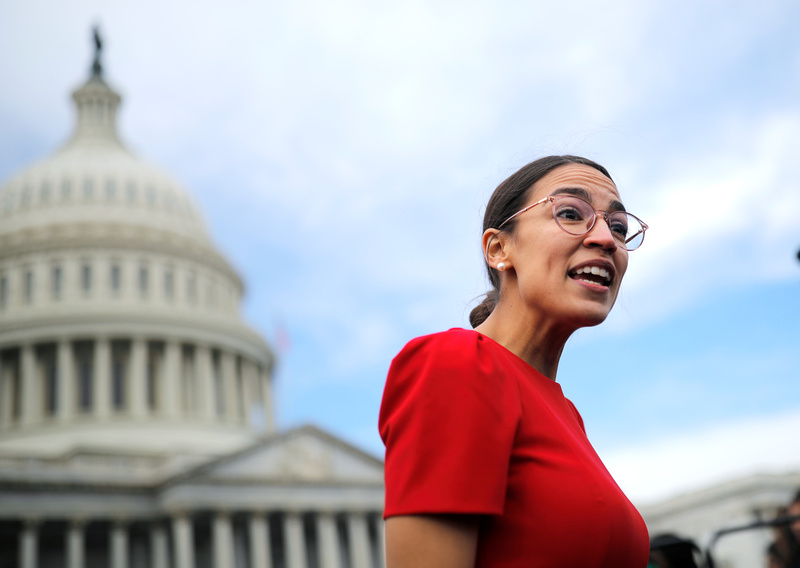 On the other hand, incoming Democrats and environmental activists are angling for a “Green New Deal” — a resolution backed by incoming New York Rep. Alexandria Ocasio-Cortez and her allies. The Ocasio-Cortez-backed resolution would also create a select committee, but one that would specifically be empowered to draft “Green New Deal” legislation to mandate 100 percent green energy. Democratic Representative-elect Alexandria Ocasio-Cortez of New York talks to reporters as she arrives for a class photo with incoming newly elected members of the U.S. House of Representatives on Capitol Hill in Washington, U.S., November 14, 2018. REUTERS/Carlos Barria. “People appreciate her emphasis on that, but people also believe we have not allowed the committee structure to work in an open and fair way,” Lowenthal told Politico on Thursday. “I think we need to make climate change a centerpiece of our agenda, how we do that I don’t know yet,” Democratic Colorado Rep. Diana DeGette told E&E News, apparently not sold on the idea of a select committee on the issue. The battle over how to enact global warming legislation has become quite bitter. Ocasio-Cortez’s environmentalist allies attacked New Jersey Rep. Frank Pallone, who opposes creating a select committee. The Sunrise Movement, an environmental group, occupied Pelosi’s office on Capitol Hill Tuesday to demand she support the “Green New Deal” resolution. Ocasio-Cortez joined the protesters who are now attacking her colleagues. 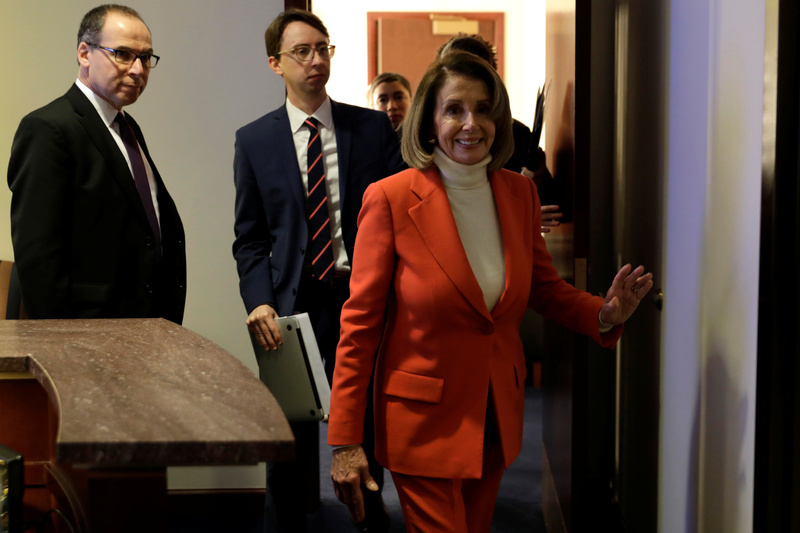 House Minority Leader Nancy Pelosi (D-CA) leaves after her weekly news conference on Capitol Hill in Washington, U.S., November 15, 2018. REUTERS/Yuri Gripas. Politico reported Thursday that Ocasio-Cortez got into a “fight” with Pallone in a closed-door meeting “over the creation of a special panel for” global warming. However, Ocasio-Cortez denied a fight ever broke out between her and Pallone. Pallone, along with other incoming committee chairs, argue that creating a new select committee will take time and only delay action on a global warming bill. Pallone is set to chair the Committee on Energy and Commerce next year. He and two other incoming committee chairs, Eddie Bernice Johnson of Texas and Raul Grijalva of New Mexico, plan to hold hearings on global warming in 2019. “We want to move very aggressively, we’ve got people in charge of these committees who are very progressive, and I just don’t see the need for the select committee,” Pallone told reporters Thursday.